Braid double stop slip lead. 1.5m long with leather stops. Available in a variety of colours and dimensions. 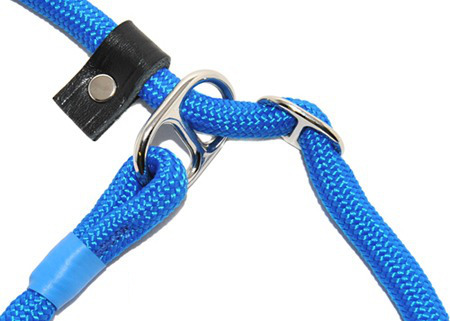 This braided hand loop lead works very well in conjunction with our braided couples to form a lead for controlling two dogs at a time. 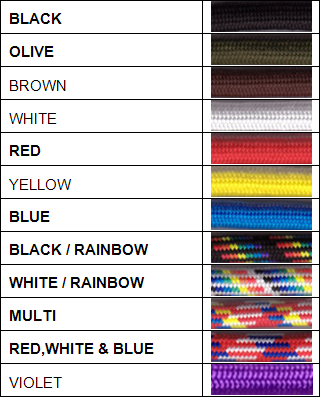 Why not check out our range of braided collars too. Brilliant lead !, Made it into a figure of 8 lead using the metal stop to make an extra loop to go over my black labs nose, instant result with no pulling, easy to put on and soft & comfortable on the nose, walks are now a pleasure. Highly recommend this absolutely brilliant lead, double stops work great.